Two of the hottest patterns this season are plaid and herringbone, particularly in outerwear. So of course I was excited because I bought this coat late last winter! I'm so excited that it's back this winter and in two other colors as well. It's a gorgeous swing coat that is a reasonable price point, if you can snag it on sale (I'd keep my eye out for holiday sales, if I were you). Note that it does run a size small (I'm in an XS) and even then it's a little big. I like that I can fit sweaters underneath it, though. I think my shoulders wouldn't fit if I sized down any more, anyway. I'm not thrilled that it's not lined, but like I said, worth it at a good price (it's $178 full-price). It's just such a gorgeous coat! And yes, I mentioned that both herringbone and plaid are hot this season. So if you prefer plaid to herringbone, I found an almost identical coat in plaid (and under $100)! Also, I love that these boots are currently available at Nordstrom! Everlane currently has a Pop-In at Nordstrom in some stores and online, but only until November 12! That's less than two weeks! For those of you who don't know Everlane, it's a great brand for classics and basics that's ethical and made of quality material. They're also really transparent about their cost breakdowns piece-by-piece. I'm definitely taking advantage of this Pop-In by snatching up these cashmere sweatpants (I know. they sound awesome), these loafers, and this classic silk top. 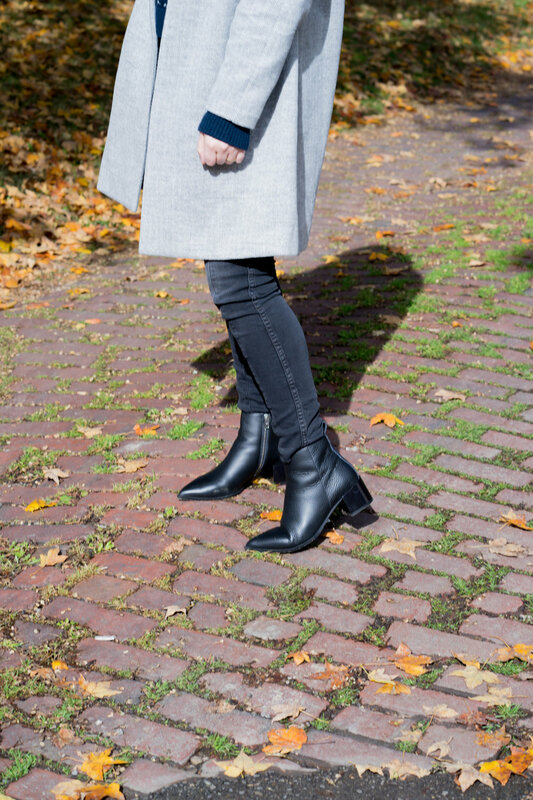 I rounded up some more of my favorites from Everlane below.